About Town: The New York Art Book Fair, Presented by Printed Matter, Inc.
Here’s an opportunity that caught our attention as something that Pratt students, faculty, and alums might enjoy! Printed Matter, Inc. presents the sixth annual NY Art Book Fair, from September 30 to October 2, 2011, at MoMA PS1, Long Island City, Queens. A preview will be held on the evening of Thursday, September 29th. Free and open to the public, and featuring more than 200 exhibitors, the NY Art Book Fair is the world’s premier event for artists’ books, contemporary art catalogs and monographs, art periodicals, and artist zines. Exhibitors include international presses, booksellers, antiquarian dealers, artists and independent publishers from twenty-one countries. 16,500 people attended The NY Art Book Fair 2010, the last edition of this favorite meeting place for book collectors, dealers, artists, curators, independent publishers, and other art enthusiasts. Printed Matter is also seeking volunteers to staff the event. Each shift is 3 hours long, and all volunteers will receive a t-shirt and tote bag! 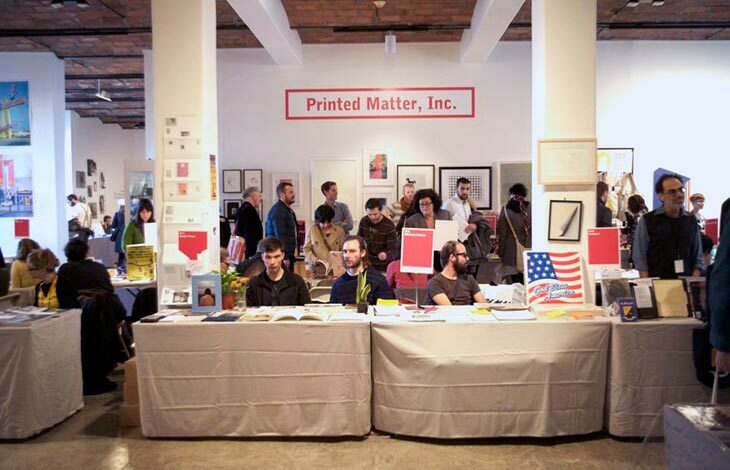 If interested, contact Peter J. Russo, NY Art Book Fair Coordinator at peter@printedmatter.org.